Сочинение на тему "С кем лучше учить язык: с носителем или учителем?" 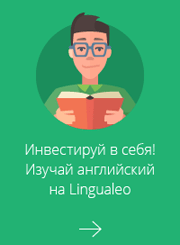 Nowadays people who speak fluently a foreign language can easily make a huge amount of money by teaching people the language he or she is good at. However, is it worth giving the money to someone whose occupation does not specialize in teaching at all? As for me, I think learning a foreign language with a native speaker has many advantages. To begin with, this person can explain grammar rules and teach how to build sentences so that a learner would remember it forever. Furthermore, a native speaker can improve the pronunciation because no one wants to be misunderstood. Finally, the language used by a native speaker is full of slang and idioms, so the whole process of learning a foreign language will be interesting and exciting. On the other hand, some people claim that people should be taught by foreign language teachers. In their mind, learning grammar rules gradually is very important for beginners, and native speakers can take some grammar rules for granted, so this situation can be disconcerting. I cannot agree with these people. If a learner does not understand something a native speaker can easily explain it with a lot of situational sentences. Developing such skills as speaking and listening is likely to be improved faster with a native speaker because the process of learning will not be so much a lesson as a simple conversation. To sum, I would say that learning a foreign language with native speakers is much better than learning with teachers. If a person wants to learn how speak a modern and contemporary language, finding a good native speaker is the best option. Я думаю лучше учить Английский язык с учителем потому что у учителя есть образование для обучения языку которое дает возможность ему грамотно обучить учеников языку которые будут усваивать и применять свои знания на практике. Ildar писал(а): will not be so much a lesson as a simple conversation.